!!! Registration is currently suspended as we are almost fully booked. Contact katarina.miljkovic@curtin.edu.au for further info, or re-visit this page again soon for more info. This multi-disciplinary workshop will cover wide range of topics related to the formation, structure and dynamics of the Solar System bodies. 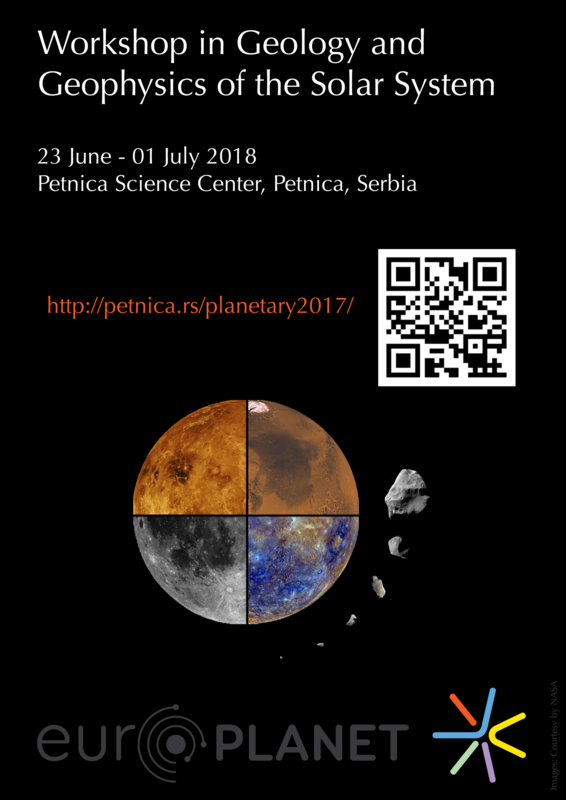 The workshop is aimed for students (PhD students, but advanced undergraduate and Master’s students are also welcome) and young researchers of various backgrounds and different levels of experience in the fields of planetary science and space exploration. The workshop will start on Sunday evening with a welcome reception. Lectures will be held Monday to Friday. There will be time for discussions and student poster sessions, should they choose to present their work. Social events are planned throughout the week. 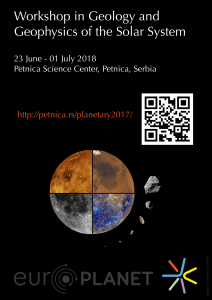 The workshop will take place at the Petnica Science Center (PSC), located in Petnica village near the town of Valjevo in Western Serbia, 93 km from Belgrade. PSC has over 30-year long tradition in education, a capacity to host large meetings and provide full board for up to 150 participants. Student accommodation will be available in shared rooms. For more about the venue, please visit www.petnica.rs. Guided tour of Petnica’s vicinity. The international visitors will be able to enjoy hiking and sightseeing in the picturesque countryside and the historical town of Valjevo. Guided afternoon tour of the local winery. The participation fee of the workshop is 500 EUR, which covers the accommodation, full board, transfer from and to the Belgrade international airport (2 hrs drive), and all social activities. Registration portal is expected to open in early November. Keep an eye on this webpage for further updates. For the students who need support with their travel expenses, we are pleased to offer a limited number of free registrations. This should reduce the total cost of travel for the attendees, as the workshop registration includes full board, accommodation and transport from and to between the airport in Belgrade and Petnica Science Centre. To apply, please send your most recent CV and one-page statement that include motivation for attending this workshop and justification for the need of the travel support to Katarina.miljkovic@curtin.edu.au using a subject line “travel support for Petnica 2018”. Feel free to send your expression of interest to katarina.miljkovic@curtin.edu.au. Any queries, please do get in touch. This workshop is supported by Europlanet 2020 RI NA1 – Innovation through Science Networking, Task 5: Coordination of ground based observations. Europlanet 2020 RI has received funding from the European Union’s Horizon 2020 research and innovation programme under grant agreement No 654208.